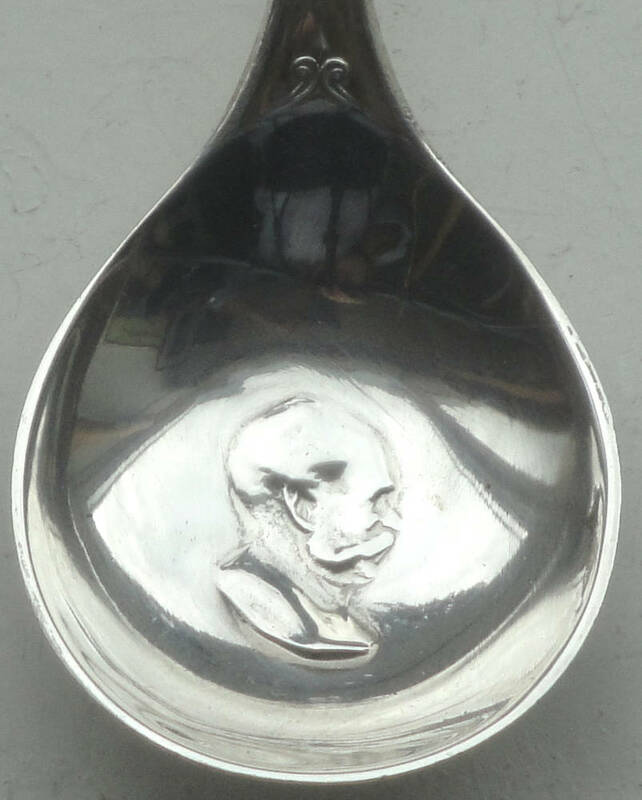 Cartier Heinz Mother and Child Spoon by Emil Fuchs, designer. Silver, 6 ¾ 1 5/8 inches. Signed: “Emil Fuchs” on right side of figure’s seat. Inscription on rear: “Cartier” (in script) “Sterling Patent Applied for.” Private collection. Click on images to enlarge them.